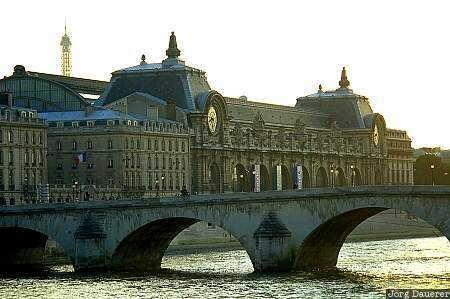 The Musee d'Orsey and the river Seine in the foreground in Paris, Ile de France, France. In the background the top of the Eiffel Tower can be seen. This photo was taken in the evening of a sunny Saturday in the middle of May 2001.